The celebration of two hearts, uniting in destiny. Would you like to celebrate your special occasion in one of the world’s most beautiful locations ? Tell us your wishes and we will make your dreams come true. You do not need to worry about the place, the food, the program and other details of the wedding. You get a complete ‘turnkey’ package or choose our services separately. Your wedding is developed individually for you. Peace of mind and confidence that the event will exceed your expectations. Nadia Fry - loves to help people turn their dreams into reality. She organizes weddings in South of France and Amalfi Coast in Italy. Her background and hobbies - design, flowers, gardening and cooking - make her the ideal wedding organizer. Nadia was born in Riga, Latvia, to parents from Ukraine and Kazakhstan, she has dreamed since childhood of running her own business. Following studies in Latvia, England, Italy and France she worked in several luxury related fields. Most recently she spent seven years in Yachting Industry and can therefore organize a boat wedding, should you wish one. She has attended many cooking courses in restaurants in France and Italy, and has worked as a chef on a yacht. She is thus ideally placed to curate your wedding menu and select the best suppliers. Nadia has in the past organized fashion shows, presentations, workshops, tastings and events held in multiple languages. Her curiosity, creativity and attention to detail make her the right person to organize your special day. and remember it as one of their most special days ever." 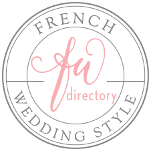 Nadia Fry Events - your wedding expert. Company Nadia Fry Events is located in Nice, France. We hold weddings in stunning locations of Côte d'Azur in South of France, Italy & Worldwide. We find the best solution for you, based on your wishes and ambition. You get comprehensive design and organization of the wedding "Full service"
We speak 4 languages: English, French, Italian and Russian. If you choose to work with us you can fully trust us to create your unique wedding. We will realize your dreams! You get the organization of your wedding "turnkey". You can choose any one or more services from our service list. It does not depend on the budget of the wedding. We also provide you with the perfect wedding proposal within your means. * Details are discussed in a personal conversation. Do you want to realize your dream? and we will turn them into reality.